The history of medicine is as old as the history of human civilization. 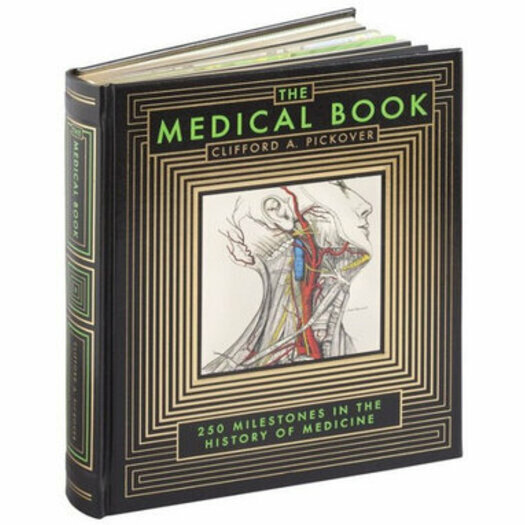 In The Medical Book, popular science writer Clifford A. Pickover explores 250 milestone discoveries in medicine that span more than 12,000 years. Whether writing on 'hard science' topics such as DNA structure, reverse transcriptase and AIDS, polymerase chain reaction, and magnetic resonance imaging (MRI), or ideas from the medical fringe such as witch doctors, patent medicines, bloodletting, and near-death experiences, Pickover brings insight and acumen to the broad spectrum of medical studies and makes it understandable to all readers. This volume is abundantly illustrated in full colour with clinical and historical art.